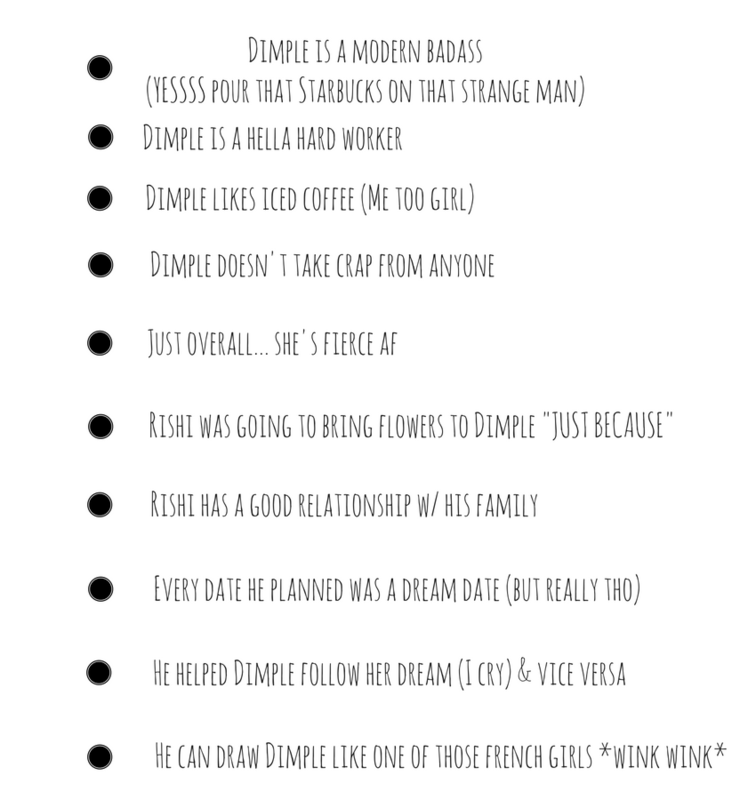 I recently gave in to the hype and picked up When Dimple Met Rishi and, let me tell you, it did not disappoint! 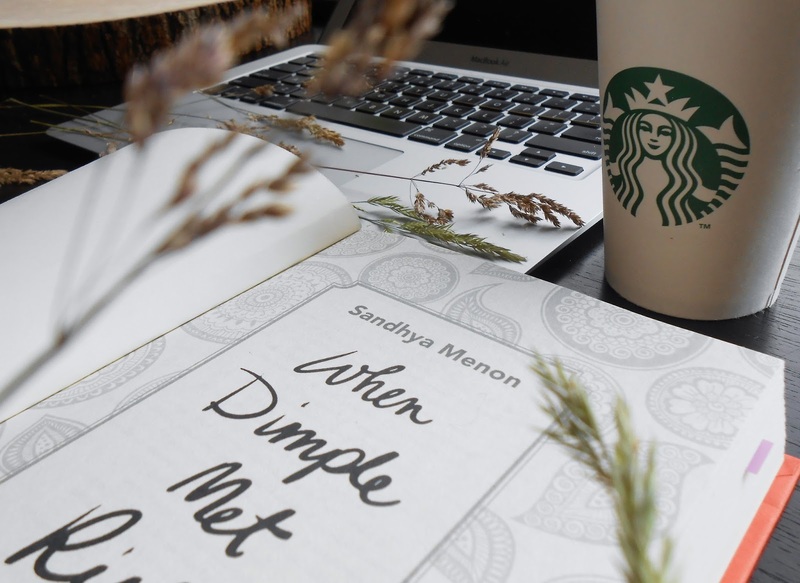 With a relatable cast of characters and an adorable first-love story, When Dimple Met Rishi will speak to everyone, no matter who you are. The story was crazy easy to slip into. I immediately found myself growing fond of Dimple and her family, even though I'd only been introduced to them a few pages back. While I'm not from an Indian family, I could easily see my family and I reflected in Ritu Auntie and Dimple's parents. I ADORE the fact that, while Dimple's parents' actions may have seemed "crazy" at points, her parents were always there to support and love her. 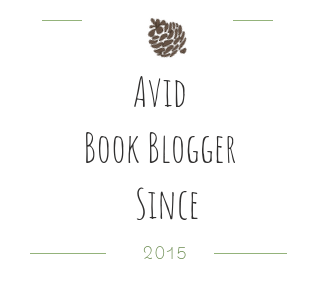 (Which we don't see enough of in Young Adult fiction). I absolutely love the fact that Dimple is passionate about coding. 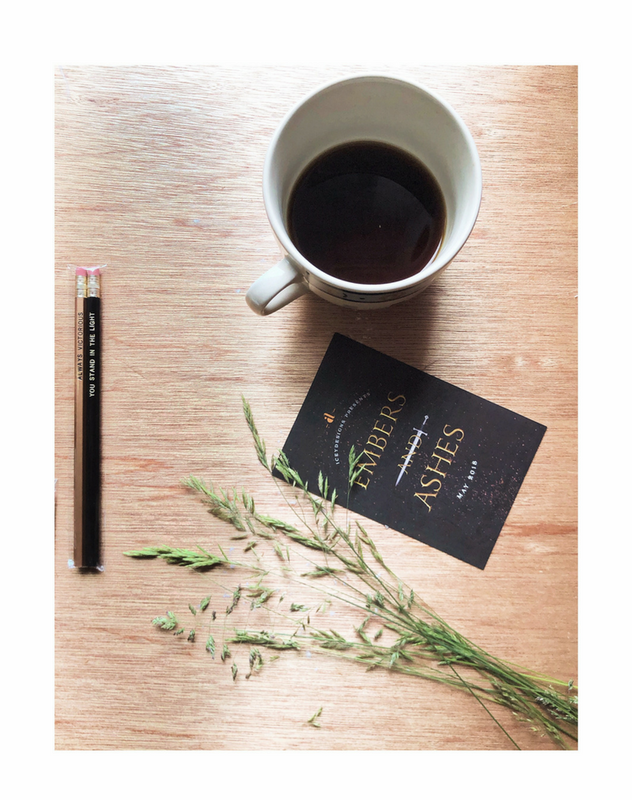 While it's nice to have characters who are passionate about books, reading seems to be the "default hobby" for a lot of characters in YA. As much as I love reading, it was nice to read about a character that geeked out over something other than fictional worlds. ... don't even get me started on Rishi who is TOO PRECIOUS FOR THIS WORLD. 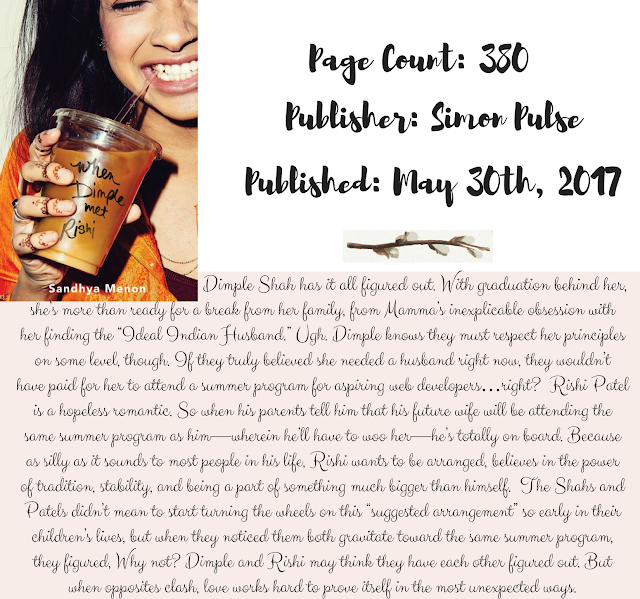 I ADORE Rishi Patel (if you couldn't tell xD) Let's get a little more in depth as to why I adore Rishi, shall we? NooOoOoo I did not just reference Titanic shhhh. If you couldn't tell already, Sandhya created some of my new favorite fictional peeps. Menon did a fantastic job with mixing cutesy romance and harsh reality. While it was great to see Dimple and Rishi fall in love, we do also see Dimple struggling to be accepted in her work place. Not only is she a woman but she's also neither rich, white, or "the beauty ideal." (Meaning she automatically had to work ten times harder to find success). Which, while sad, is the reality for hundreds of thousands of women. I had very few problems with this book buuut I would have loved to see more of Dimple working on her project! This is such a random and minor thing to think about but, I don't know. I loved seeing Dimple get excited about coding and I would have enjoyed more scenes with her and Rishi drawing (and coding) Dimple's app. 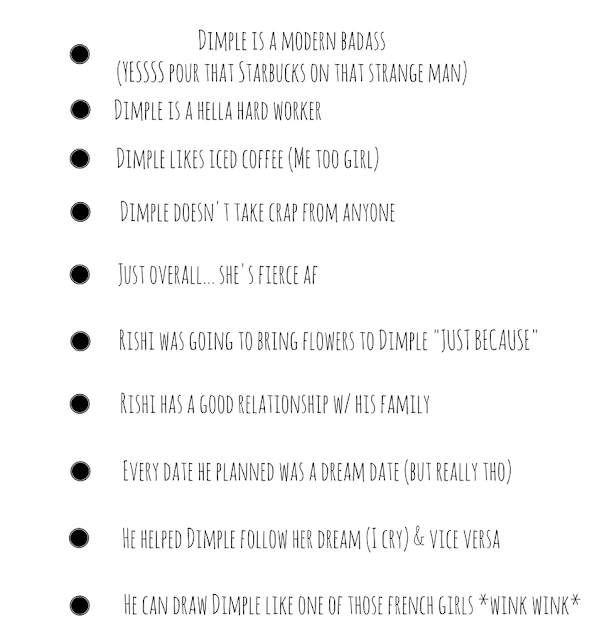 I made a Pinterest board for When Dimple Met Rishi which you can find ~here~ I had a ton of fun putting it together! "'I feel like I need to speak out, because if no one speaks out, if no one says, This is me, this is what I believe in, and this is why I'm different, and this is why it's okay, then what's the point? What's the point of living in this beautiful, great melting pot where everyone can dare to be anything they want to be?'" Did you read WDMR? Do you plan to?